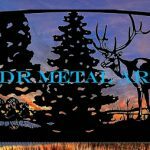 Aluminum Driveway Gates - Custom Driveway Gates - Iron Steel & Aluminum - JDR Metal Art - FREE Standard Shipping! High-quality, custom-built aluminum driveway gates give their owners the benefits of lightweight, high-strength and corrosion-resistant access control to their property. 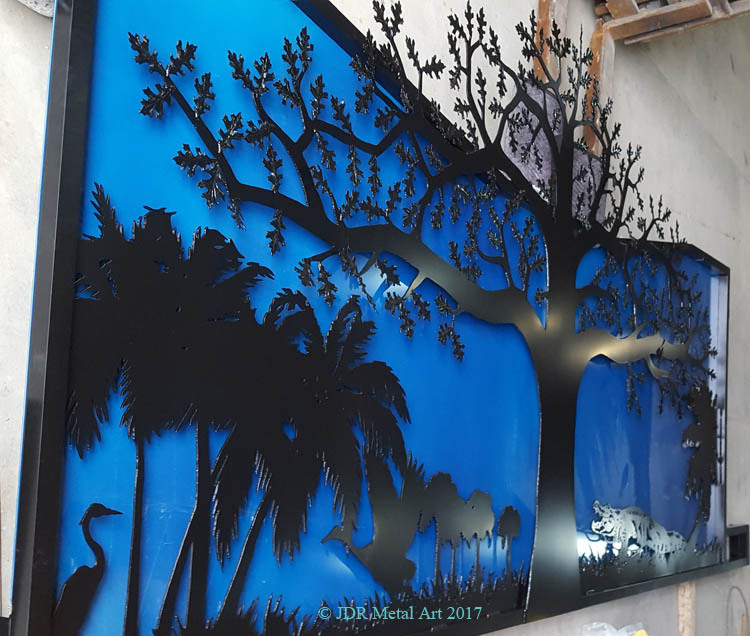 JDR Metal Art not only designs, but also handcrafts some of the world’s most beautiful aluminum driveway gates while keeping the client’s costs to a minimum. Why Custom Aluminum Driveway Gates? 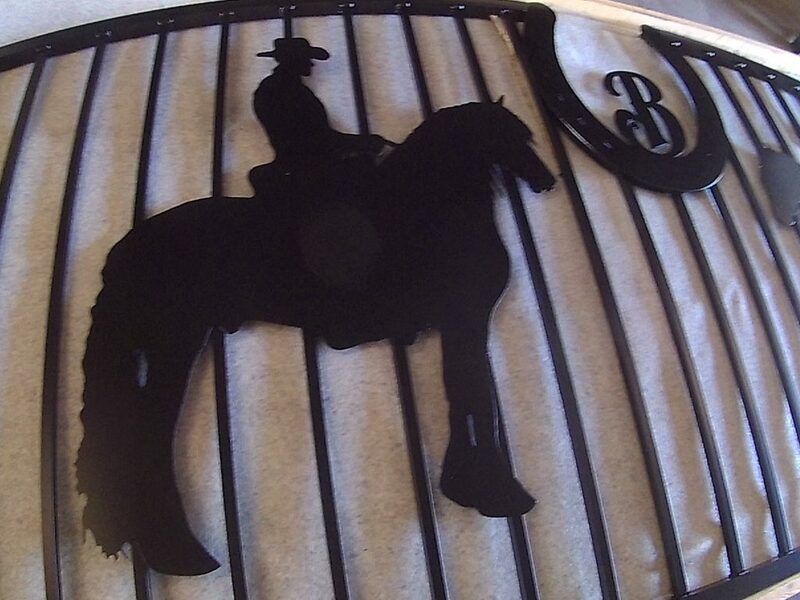 Our custom aluminum driveway gates are different than the normal cookie cutter designs cluttering the web. First, they’re built to last. Second, they’re built to stand out in a way that matches the customer’s every desire. We have met with so many people who bemoan the poor design choices available from the vast majority of gate companies. Custom aluminum driveway gate fabrication is becoming somewhat of a lost art. Who doubts the old saying that “you get what you pay for”? Regrettably, most aluminum driveway gate manufacturers prefer to use paper-thin aluminum in their gate construction because it is so cheap and profitable. While this certainly does allow people to own an aluminum gate for a low cost; the trade-off is that their new gate will rarely survive more than a handful of years before something “catastrophic” happens which wouldn’t even phase one of our well-made aluminum gates. We use all 3/16″ or heavier aluminum material which has thousands of pounds of strength per foot while still being relatively lightweight for the size when compared to an iron gate. We take a different approach based on the idea that there exists a relatively small but growing number of people who no longer subscribe to the notion of “planned obsolescence” and flooding the markets with cheaply produced, low value-to-price ratio foreign imports built on dirt cheap labor. Not only do we always seek to give people what they pay for but to give them more than what they are paying for or could find anywhere else. The key element to building an aluminum gate with long-lasting beauty is the preparation of the gate surface before we apply the powder coat finish. The powder coat on a properly prepared and finished aluminum gate will easily last 20 years before needing to be refinished. It will have high UV resistance which is especially important in sunny climates such as Florida or California. It will have very high impact resistance to scratching and chipping from flying pebbles and rocks, falling tree limbs, tools, handling, etc. An improperly finished aluminum gate might look good for a couple of years before the paint or powder coat begins to peel off in sheets, subjecting the freshly exposed bare aluminum to accelerated atmospheric corrosion. It will soon easily scratch or rub off and the powder coat will begin to peel ever faster at the affected area as the corrosion spreads. 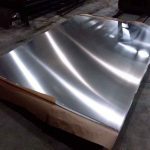 The reason the finish peels off of aluminum by itself to begin with is because of the common misconception held by many who believe aluminum doesn’t rust. While technically true (only steel or iron mixed with oxygen create “rust” or iron oxide) aluminum is still subject to corrosion in the form of powdery white “aluminum oxide” from exposure to the oxygen in water and the air. The picture below taken from this aluminum finishing post shows a poorly finished aluminum driveway gate with the white powdery substance which is the aluminum corrosion that formed underneath the powder coat and pushed the powder coat off the gate. Unless aluminum metal is kept in a vacuum, a very thin (at first) layer of aluminum oxide forms instantly on the surface of aluminum, even immediately after it is sanded or sandblasted down to the bare aluminum metal. 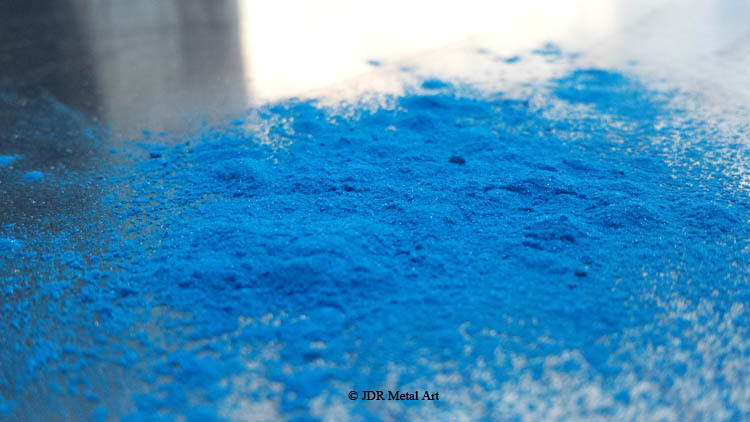 Untreated aluminum oxide is a very poor surface on which to attempt to bond paint or powder coat. It may weakly bond at first but will have very poor impact resistance and adhesiveness. 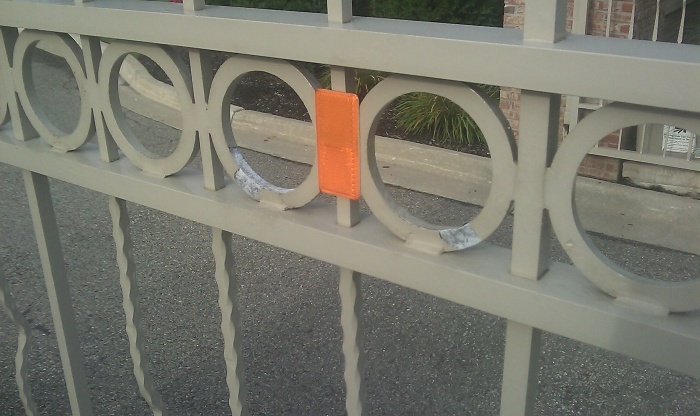 Much like painting over rusty steel, the aluminum oxide that is always on the surface of an aluminum substrate, unless properly dealt with, will over time exponentially grow in thickness beneath the paint until the bond holding the paint or powder coat to the surface of the gate is completely broken. It is therefore of the utmost importance that aluminum driveway gates are prepared for finishing in a manner that entirely counteracts the unwanted effects of the unavoidable surface layer of aluminum oxide. The process we use to counteract those effects is all-too-often neglected by other aluminum gate manufacturers, especially in light of the extreme eco-friendliness and cost-effectiveness of the added surface preparation and overwhelming benefits it offers in long-term beauty. 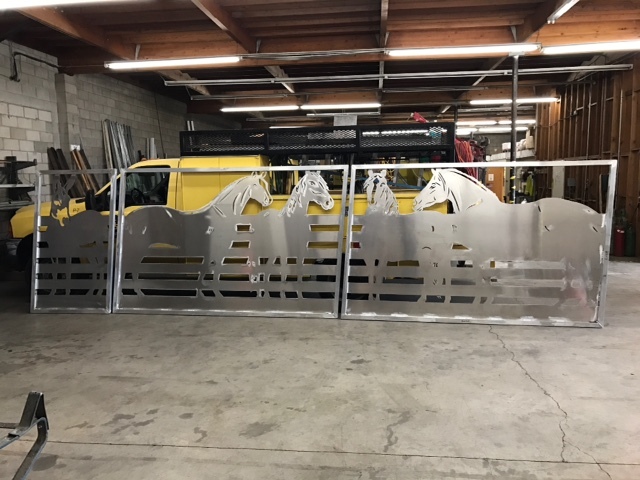 Our surface preparation process is just another key thing that helps us deliver a superior product by adding considerably to the longevity of the beautiful powder coat finish we apply to all our custom aluminum gates. 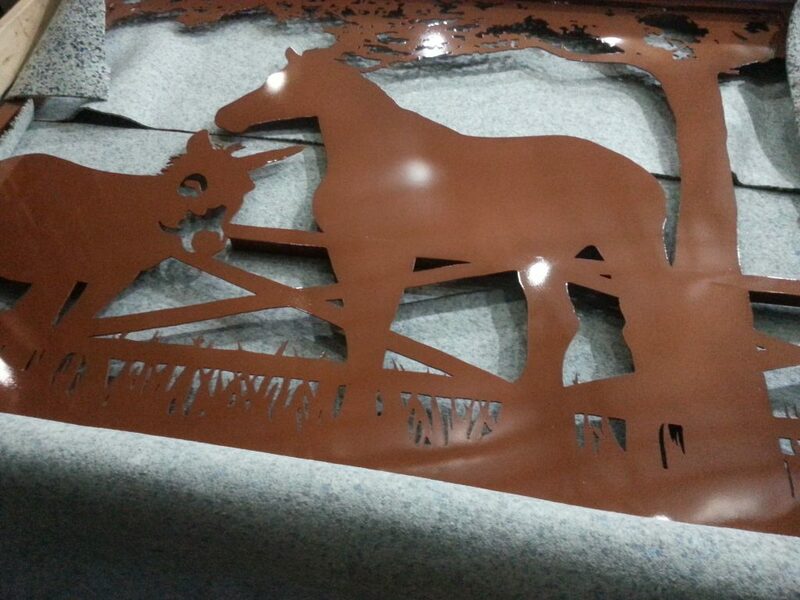 Custom plasma cut from 3/16″ aluminum sheet. (Shown in crate with padding). 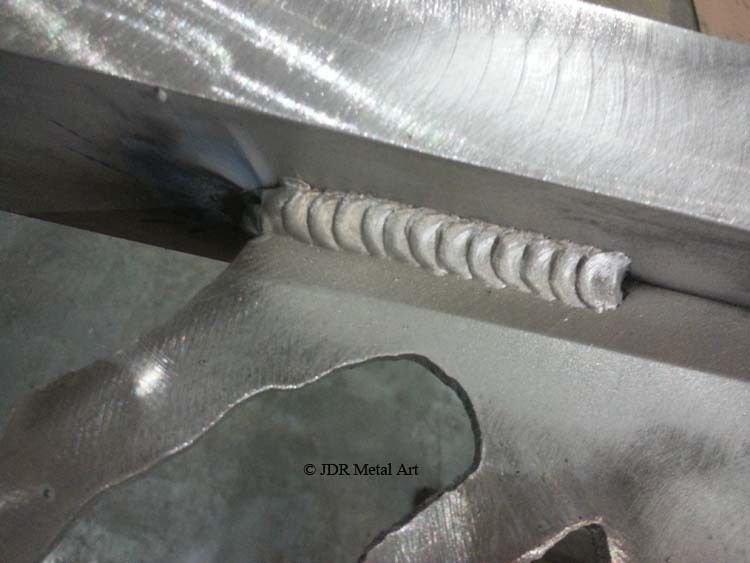 Gates were fabricated by JDR Metal Art and sent as raw aluminum to customer in Los Angeles, California area. Shown at garage of Perimeter Security Systems. 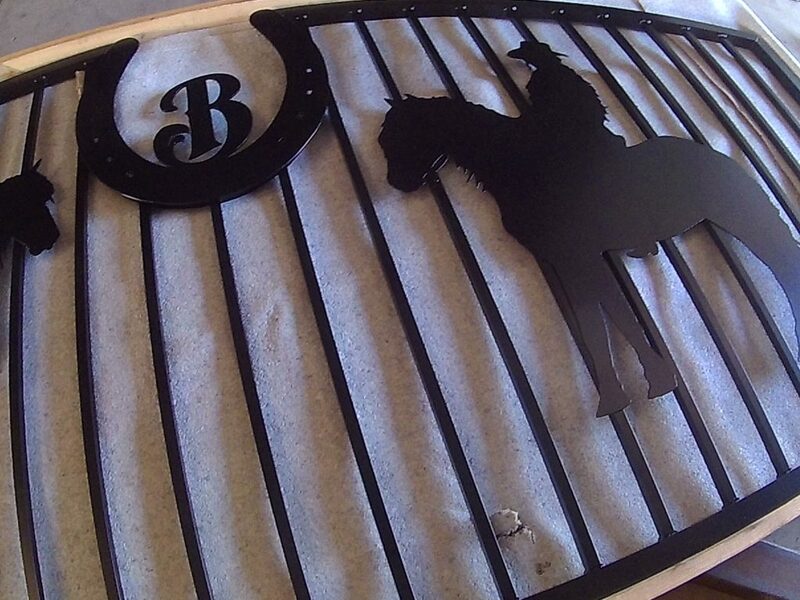 Single swing 14′ aluminium entry gate for Florida horse ranch. Want more info about getting started on your custom aluminum driveway gate project? Want a price? Please give us a call or use the form below!